In order to build 4 million new cheap houses by 2022, in addition to the business of 20 lakh crores, more than Rs 10 lakh crores of home loan is needed. 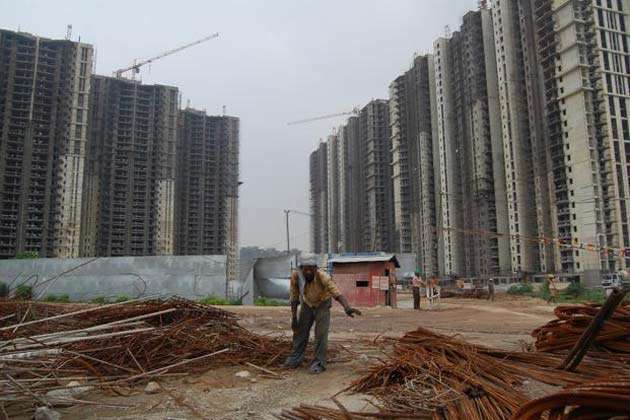 [New Delhi]: Housing for All means that the real estate sector is very excited about the central government's plan to house every person in the country till 2022. Companies in the real estate sector believe that with the creation of 40 million houses of 500 sq ft, the business of at least Rs 20 lakh crore is going to rise in the country. This plan will provide robust employment in many other industries and also provide large scale employment. In Berlin, Berlin, the annual conference of the largest collection of Indian real estate companies, CREDAI, Natakon-2011 has been organized. On the first day of the conference, it was clearly on behalf of these companies that in the days to come, their focus would be on building residential houses with expensive projects, as well as making a cheap house because their demand would be highest. Credai chairman Gitanambar Anand says that according to the plan of the Narendra Modi government, there is a need to construct four crore new cheap houses by 2022. Most of these houses will be built in rural, semi-urban or small towns. It will directly give a business of Rs 20 lakh crore to the real estate sector. For this, a home loan of $ 150 billion (Rs 10.2 lakh crore) will be needed. It is obvious that it will be very big for the banking industry of the country. Not only this, there will also be 200 million doors, 24 million windows, 12 million cupboards, 28 million bulbs, etc. for these housing. In addition, dozens of industries like paint, bathroom fittings, furniture, lighting, textile will also bring huge demand. The demand for housing in the first half increased by 25 per cent: CREDAI president, Jaksy Shah, says that the plan to give home to all the Modi government is catching up when the real estate sector is ready to come out of the recession in every way. Referring to the report released by CREDAI on Friday, Shah says that in the first six months of the year 2018, sales of residential units in the country have increased by 25 percent. CREDAI has released this report in collaboration with JLL India and Kushman & Wakefield, two companies with research and suggestion on real estate sector. It said that in January-June, 11 percent of residential units sold in Mumbai, 26 percent in Delhi, two percent in Bengaluru, 57 percent in Chennai, 182 percent in Hyderabad, 280 percent in Kolkata and two percent increase in Pune happened. Do you experience camera access problem after installing Windows 10 April 2018 Update? Learn how to use the Zoom Controls and its use.